This year‘s show has the theme ‘One day in Paris’ and Paris is also the city of fashion. 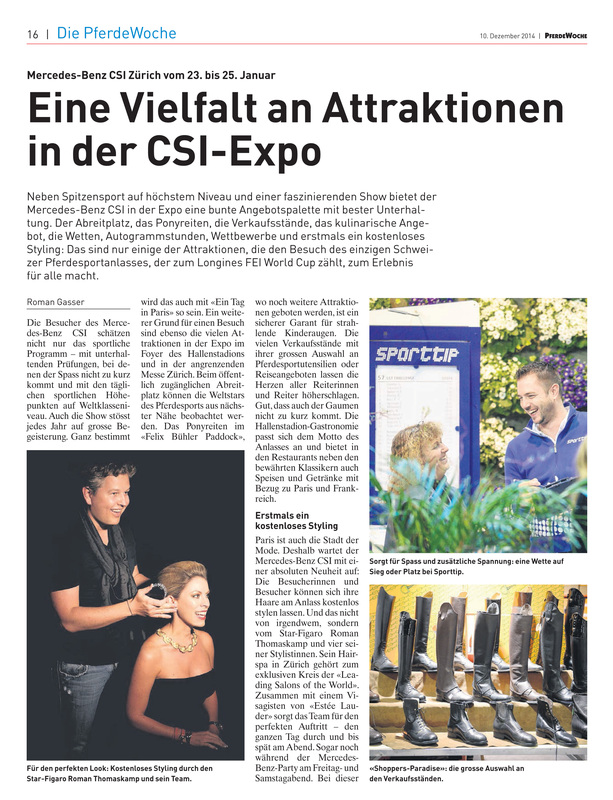 Therefore, the Mercedes-Benz CSI Expo comes up with a complete novelty: The visitors can have their hair styled at the event for free. And not by anyone, but by star Figaro Roman Thomas Kamp and four of his stylists. 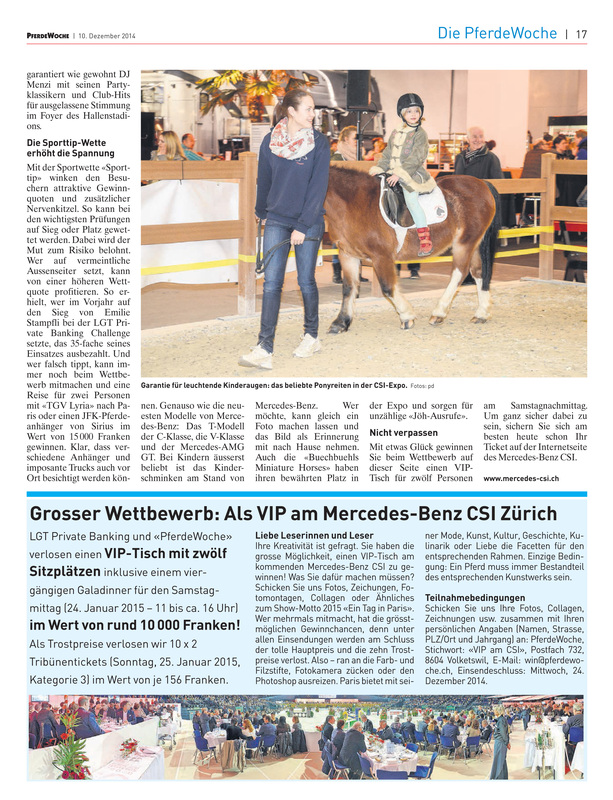 His Hairspa in Zurich belongs to the exclusive circle of "Leading Salons of the World". Together with a make-up artists from "Estee Lauder" the team provides the perfect look - all day through until late in the evening.